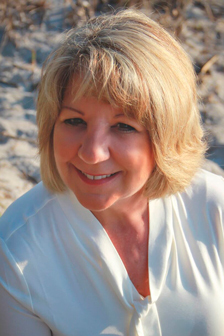 A resident of the Sarasota area since 1974, Anna Wagenseil’s real estate career is enriched by her vast local knowledge, in-depth market expertise and genuine enthusiasm for achieving the very best results for her customers. Originally from New Hampshire, Anna’s professional background spans many years in the banking and investment industries, before real estate beckoned in 2012. Applying her solid bu... more.siness background to working with homebuyers and sellers was a natural transition for Anna, and she quickly earned high regard as a top producing agent with Keller Williams, before joining Michael Saunders & Company. Anna’s caring demeanor and personal approach makes each transaction a rewarding and enjoyable experience. She has lived in Englewood since 1996, and loves the casual, coastal atmosphere that comes with the area’s miles of pristine beaches and waterways. In her spare moments, she enjoys cooking, fishing, walking on the beach and spending time with family. ...less.